Having a nice haircut from a professional salon is always uplifting, at least until the effects of your professional blow-drying wear off. After all, who’s going to make all that effort at home again, right? Effort aside, it’s extremely difficult to get the perfect look in the end after all the time you spend. However, if you get the right hair styling tool, you can actually get that salon-like perfect look. And that’s where the new Calista Style Dryer comes in. 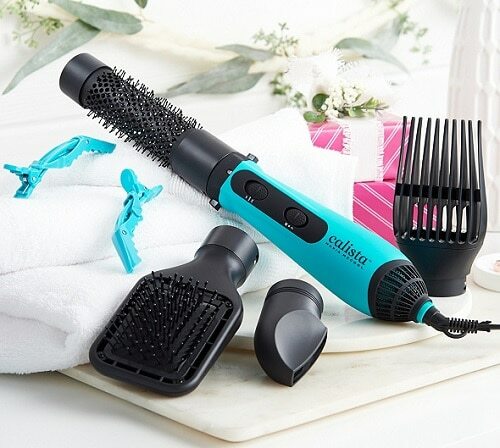 Combining blow drying with four different attachments: a concentrator, root lifter, a paddle brush and a round brush, the new style dryer is able to volumize and lift, curl, smooth and straighten towel dried hair. The styler handle is a strong 1,200 watt blowdryer, with a motor in the base, but it is as lightweight as a regular bristle brush. Calista also offers a really nice ionic round hot brush. Its a really nice product at an even more competitive price point. Instead of having to hold a dryer and a brush with both hands, a styler and dryer makes styling at home so much easier, by simply switching between the attachments and using just one hand to blow dry and style at the same time. Calista Style Dryer – How does it work? a round brush for adding light curls and waves. The dryer and styler doesn’t have a damaging impact on hair, as it doesn’t operate at high temperatures as straighteners or curlers. The hair is left shining and volumized, as studies show that, blow drying hair with hot air doesn’t impact its health in a negative way, as long as the air wave moves around and hair is not overexposed to heat. The ionic generator and the tourmaline infused brushes eliminates frizz, add volume and body and smooth hair. At 1,200 watts the dryer has more power than most of the stylers on the market, which vary between 700-1,000 watts but is less powerfull than a professional hair dryer, so hair needs to be 85% dried after washing for best results when styling. Tourmaline is basically a crystalline mineral with a very high ion output, that has a smoothing effect on hair. It’s the use of this high quality coating and the power of the motor that generate salon quality styling results and also account for the premium pricing. I guess you get what you pay for, right? 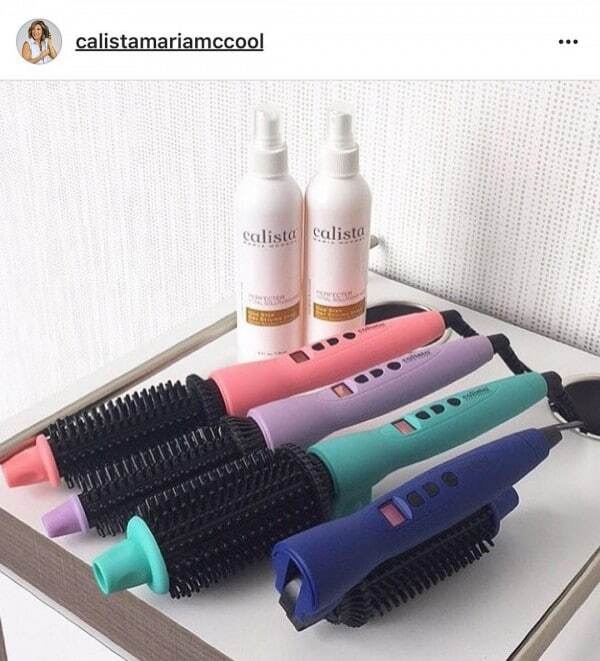 Calista also came up with the first hot styler to reach the market, since then, more models and brands came up with similar models, some even more affordable. Offering different styling options that allow versatile looks every day, the Perfecter Styler, although not cheap, is definitely a worthy investment if you like to have perfectly styled hair. It works just as well on long or short hair and it doesn’t take more than 10 minutes to style, once you washed and blow dried your hair. If you’re wondering what makes this hair styling tool so perfect, here are some of its main features for your review. 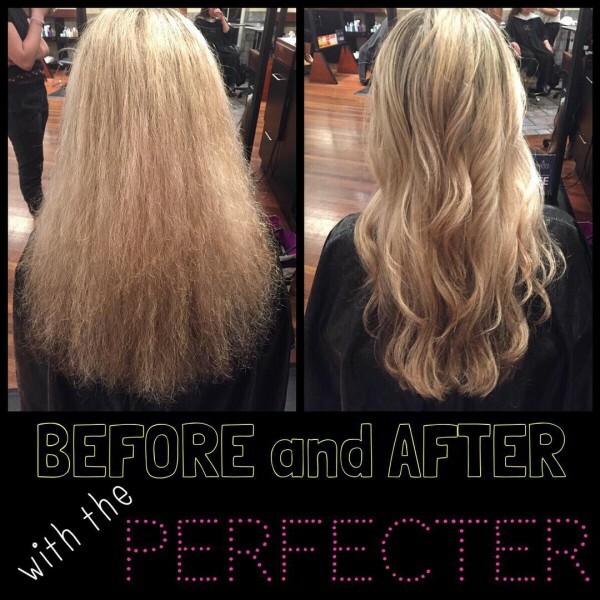 • Salon Results in the Shortest Time – The best thing about Perfecter Styler is the fast performance it can give you within minutes. The product claims to give salon-like results within three minutes in total, so you can definitely use it every day before you leave for work. • Different Styling Attachments – This hair styling tool is perfect in every way as it gives you different styling options. The Perfecter Styler comes with a 2-inch round brush offering heated fusion technology to give you perfect and frizz-free hair. It also comes with a detangle brush, allowing you to use this style as a hot brush, straightener and curling iron at the same time. It also includes three styler clips to help you style your hair in the best way possible. • Multiple Temperature Settings – To give you the kind of performance according to your own hair type, this hair styler offers two different temperature settings; high and low. 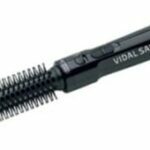 • Other Features – With a plastic body and holding end, Perfecter Styler is completely safe to use, ensuring that you don’t burn your fingers while styling. The styler also comes with a thermal travel case to make it convenient for you to carry it around. However, make sure to never use the styler on wet hair as it’s not safe for this purpose. The Perfecter Styler is definitely a favorite of many users. According to one user, it’s a “great tool that every woman needs!” Meanwhile, others have found that the styler adds smoothness and volume to their hair. While some did complain about the machine’s two heat settings, it’s a wonderful product overall as it can give you perfectly styled hair in a short time. You can easily find this product at Amazon at a discounted price, making it an affordable complete hair styler set. 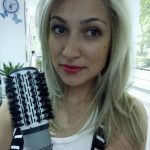 If you want a single hair styling tool that can give you different kinds of hair styles, this is definitely the best pick for you. Ceramic vs. Titanium Flat Irons – Which Are Better?